THIS COMING CHILDREN’S REVIVAL WON’T LOOK LIKE ANYTHING WE’VE SEEN BEFORE! We not only believe it, but we are seeing it happen through our ministry and others who are like-minded! And it’s not going to look like anything we have seen before! Everywhere people are stepping out against the status quo and introducing children to a living God, radical things are happening. ARE YOU HUNGRY FOR A KIDSMIN CONFERENCE WHERE THERE IS A MOVE OF THE HOLY SPIRIT? Then this is it! The testimonies these speakers will be sharing will inspire you to greater heights in your kids ministry! COME IN PERSON, OR WATCH ONLINE! We would love to have you come in person if you can. but space is limited, so sign up soon! But if you can’t come, then be sure to watch us online with live streaming. Either way, you do have to register, so go to this site for more details and registration. Olly Goldenberg, from England, author of the Josiah Generation and the book series God’s Generals for Kids with Roberts Lairdon. 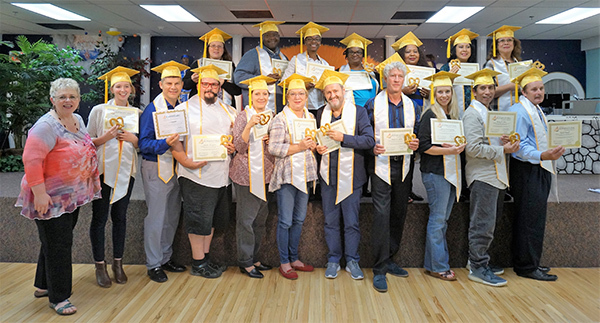 THIS EVENT ALSO INCLUDES OUR ANNUAL GRADUATION CEREMONIES FOR OUR STUDENTS in our School of Supernatural Children’s Ministry and our PowerClub Training Course. This is a tremendous celebration that includes prayer and prophetic ministry for all graduates and an opportunity for them to meet our KIMI leaders. We take graduation very seriously! Becky Fischer, director of Kids in Ministry International, will be speaking on What’s Next? Where is God taking children’s ministry in the next few years? This is going to be a conference with far-reaching prophetic impact! Michelle and family have been home on leave from the mission field this year. Listen to Michelle talk about what’s currently happening in their ministry. Olly Goldenberg has been ministering to children in churches and outside of the church for over twenty years. For fifteen of these years he led one of the largest children’s ministries in Europe, Kensington Temple, London, (where R.T. Kendall was once pastor)with responsibility for children aged 0–14. The ministry more than doubled in size under his leadership. 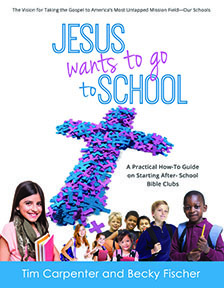 He saw a reversal of the trend of children leaving the church, with many of the children leading their friends to Jesus and discipling them in their schools and homes. Currently he leads a ministry, together with his wife and five children, called ‘Children Can,’ based in the United Kingdom. Through producing resources, modelling ministry and training leaders they have inspired thousands of leaders from different nations and denominations to know how to lead children from a head knowledge of God to a passionate relationship with him. At the heart of their ministry is a passion to see children raised as disciples of Jesus. We have Olly’s inspiring book “The Josiah Generation, “ He also co-authored the kids book series God’s General’s for Kids with Roberts Lairdon! All are in our online store. Tim Carpenter will also be returning to do a full training for everyone interested in starting a PowerClub in local schools in his inspiring session on JESUS WANTS TO GO TO SCHOOL! Tim cast the vision last year concerning in our annual conference. You can watch his session below! But this year Tim is coming back, not just for one session, but for three practical workshops, to show us an A-Z plan on launching an after school Power Club in any school. Anyone can do it and it’s perfectly legal! Tim answer all your questions about liability, legality and building a team. If you have the heart of a kids evangelist, this workshop is for you! Tim has been a dynamic kid’s evangelist, Project Editor/Curriculum Developer for KIDS Church Next Generation, and the Billy Graham Association He’s has also served as a children’s pastor with Jesse Duplantis Ministries and Bethany Church in Louisiana. He is an anointed trumpet player and has played for well-known Christian music groups such as the Rhema Singers and Band. He has been very active in recent years with Child Evangelism Fellowship overseeing their public elementary school Bible clubs. Tim’s vision is to simply help kids experience the transforming power and love of Jesus in and through their lives. 8:00 pm Michelle Wellborn & Family See you next year!